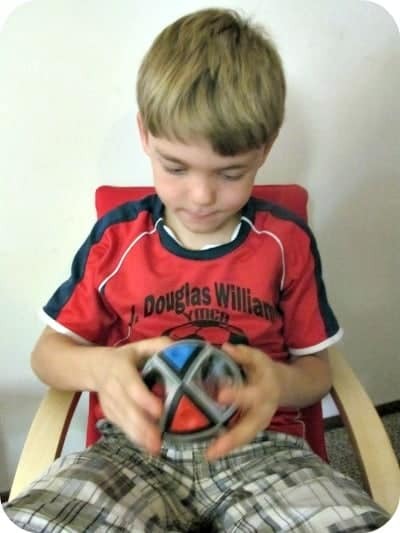 My seven year old son will spend hours trying to solve a problem so brainteaser toys are frequently included in our homeschool curriculum as well as during playtime. I love that this game can be played again and again because once it has been solved then the player can start a new game by making a new knot achieved by rotating the halves. Available by Recent Toys USA, the Brainstring ‘R’ would be a great holiday gift idea for all ages, especially those who love puzzles and brain teasers. You can visit Recent Toys to find a retailer near you or it is available for purchase at Amazon.com for $16.99. The “You and Mona Lisa” Toy is really cool. I’ve never seen anything like it where you make the image with mirrors. I like the Mind Jewel. I think Bamboozlers would be a popular toy here! The icosoku looks fun. Thanks for the chance. I would have great fun woking with my sons to figure out the Cubigami7. Mindjewel looks like fun! Thanks for the chance to win! The Bamboozlers look neat. i want to be a kid again. The cross teaser looks like it would drive me crazy! I would love to own Cubigami7. i like the cross teaser!! I would love to own the Cubigami7. WURMM–right age group for my grandson. I would love to have the Wurmm for my daughter. i would also love to own the brainteaser gold! MindJewel looks like it would be a big hit here!